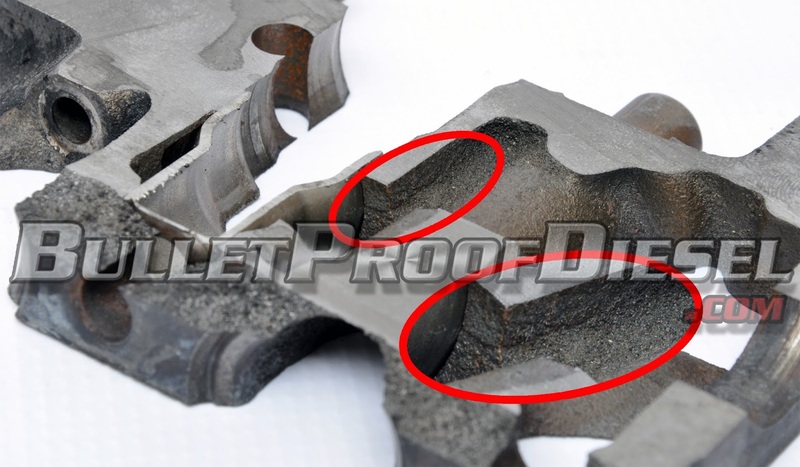 Here at Bullet Proof Diesel, we talk a lot about the five common pattern failures found within the 6.0L Power Stroke engine. And we’re serious about fixing them – we manufacture, sell, and install upgraded parts designed for both reliability and durability. We refer to 6.0L’s as ‘Bullet Proof’ when these pattern failures have been corrected with our products. · The BulletProof Cylinder Head Injector Bore Repair Kit doesn’t require removal of the cylinder heads. Instead, to utilize the kit, the engine’s valve covers and fuel rails are removed to allow access to injectors. After removing injectors and cleaning the bores one at a time, they are filled with WD-40 and the coolant system is pressurized. If bubbles appear in the bore, there’s a leak that needs to be filled. A special tool (included with the kit) is dropped down into the injector bore, and a sealant solution is fed to the tool. The bore is pressurized to force sealant into cracks, and then some time is required for curing. After that, the leak should be repaired and shouldn’t reappear even after years of use. · Alternately, for customers who visit Bullet Proof Diesel directly, we offer a cylinder head repair that utilizes brand-new injector bore sleeves (as of now, this service is only available to customers having trucks repaired at Bullet Proof Diesel headquarters). This repair process is often preferred if there are multiple injector bore cracks in cylinder heads, and it should be permanent – solving the problem within both cylinder heads forever. The most common reasons for choosing one solution over the other involve cost and labor time. The Cylinder Head Injector Bore repair kit retails for less than $700 and can be utilized by those with basic mechanical knowledge and tools. The cylinder head repair service requires that the heads are removed, and then thoroughly cleaned, surfaced, and drilled – so the time spent and the cost of the service is higher – about $2300. Either option is preferable to having to replace 6.0L cylinder heads – even remanufactured sets will run $2600 or more, and those still maintain the defect that leads to leaks in the injector bores. Add labor costs – which can run $3000 or more for a head replacement – and the savings are apparent. 6.0L Power Stroke owners who actively seek out any danger areas in the engine will want to keep an eye ready to spot the symptoms of leaky injector bores. Fuel in coolant is a dead giveaway – there simply aren’t a lot of other scenarios that would lead to this phenomenon. From there, the test described above will confirm if there is indeed a leak. It’s never fun to confirm a problem exists, but the head repair options offered by Bullet Proof Diesel at least provide some options that are easier on the wallet.